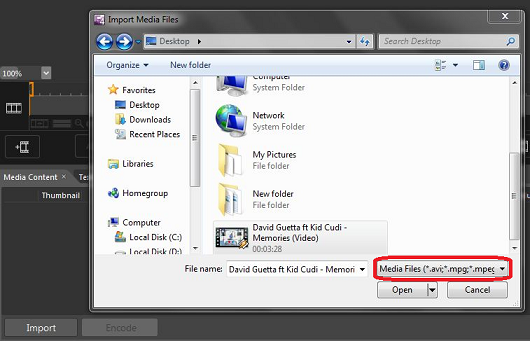 This tutorial will show you how to stream live from a video playlist with Microsoft Expression Encoder and a Smooth Streaming Server. First of all you will need to purchase an account by signing up on our website. After the signing up process is complete, the Smooth Streaming Server details will be available in your account. The next step is installing the Microsoft Expression Encoder 4 on your computer. Also you can download it from here. 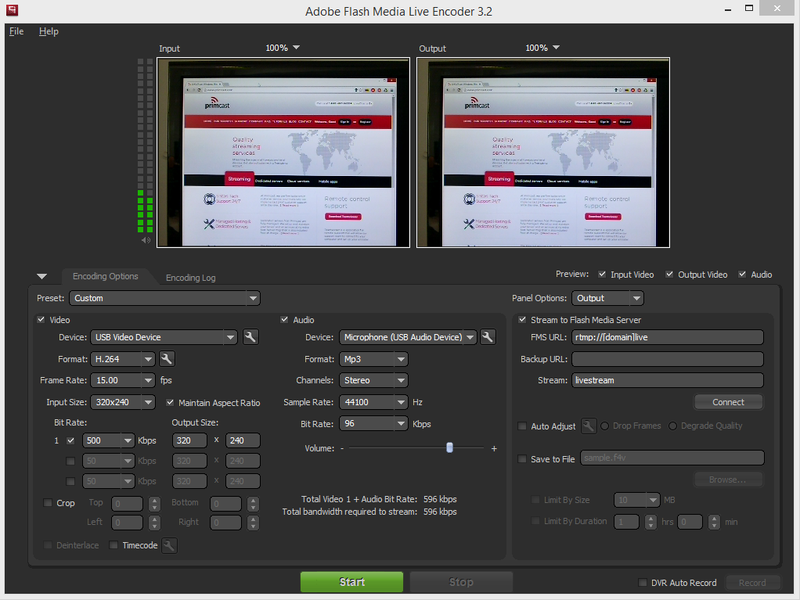 In order to stream on-demand using a Smooth Streaming Server you must encode the video file at multiple bitrates that you can select from the encoder's interface like in the picture. 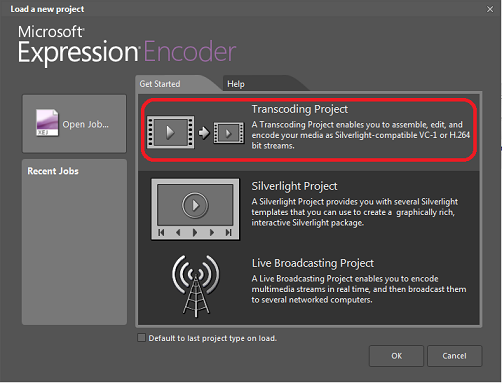 Open the encoder and choose and choose the "Transcoding Project" option. To open the file that you want to broadcast, just click the "Import" button in the down left side of the encoder's window. After you opened the desired video file, you must start encode it at multiple bitrates in order the server to adapt the video bitrate streaming to the viewer's connection type. After you opened the file like in the pictures above, you must select the encoding type. For those adjustments please watch the next picture where it shows you how to select the "Encoding for Silverlight" and also video bitrates to encode the file. Also you can always add or remove a bitrate from the "Video" window. 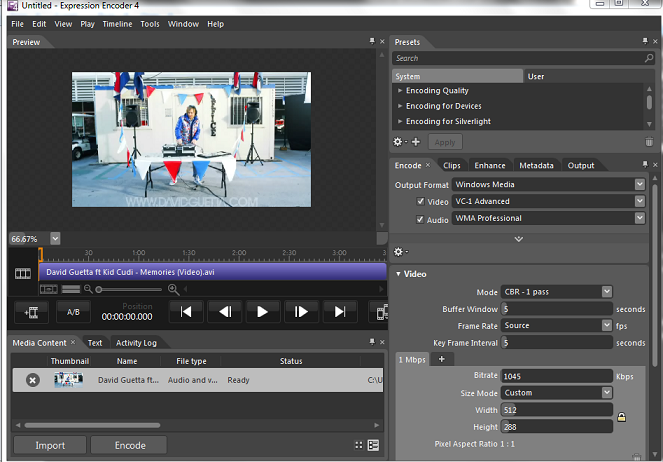 Microsft Expression Encoder also has its own presets just to make your experience much smoother. For example I selected the 720p CBR which means High Quality image. 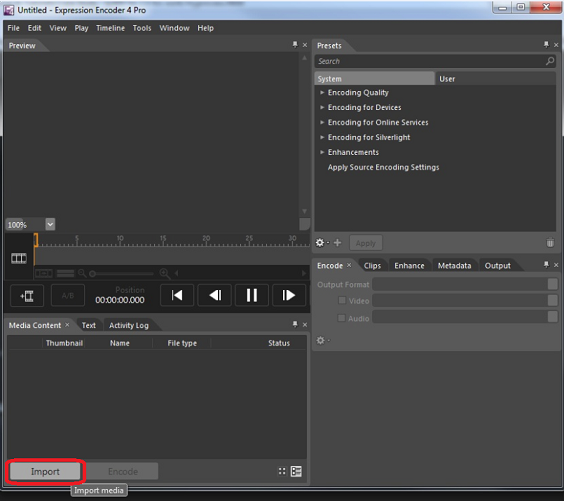 AS you can see after the selection was made you need to click Apply and the default bitrates will show up. If you want to add a new bitrate for your video to be encoded jsut press the "+" mark near the existing bitrate that you have in the window there(A). If you want also to delete a bitrate that you do not want your video to be encoded simply press the trash bin icon in the down-right corner of the bitrate window (B). Remember that you can always encode the file at what bitrate you want simply introducing the bitrate number (C). After you successfully added the bitrates that you want to encoder your video at, press the "Encode" button which is located near the "Import" button in the down left corner of you encoder window.